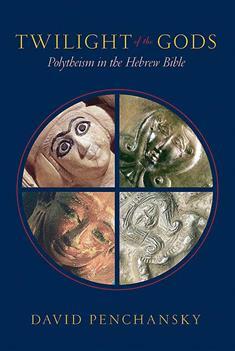 Since the middle of the twentieth century, one of biblical scholarship's chief assumptions has been that ancient Israel evolved out of the polytheism of surrounding cultures into an ethical monotheism. However, this consensus has fallen apart in recent years. Scholars now know that early Israel was surrounded by a very polytheistic culture and that many Israelites thought of Yahweh as the chief God among many gods. Furthermore, archaeology has shown that Yahweh was worshiped along with other gods throughout the period after the exile, when many shrines were in honor of "Yahweh and his Asherah." David Penchansky's Twilight of the Gods is the first accessible book that shows a historical Israel where polytheism and monotheism existed simultaneously in great conflict. He provides a historical introduction, followed by close readings of key Old Testament passages, where he demonstrates how to interpret difficult biblical texts that depict other gods or claim Yahweh is the only God within this new understanding of Israelite religion. The Bible Today(Jan./Feb. 2006)"[A] well researched and interesting book."